For the past few years, Google has begun an inextricable march toward a more mobile-oriented search experience. 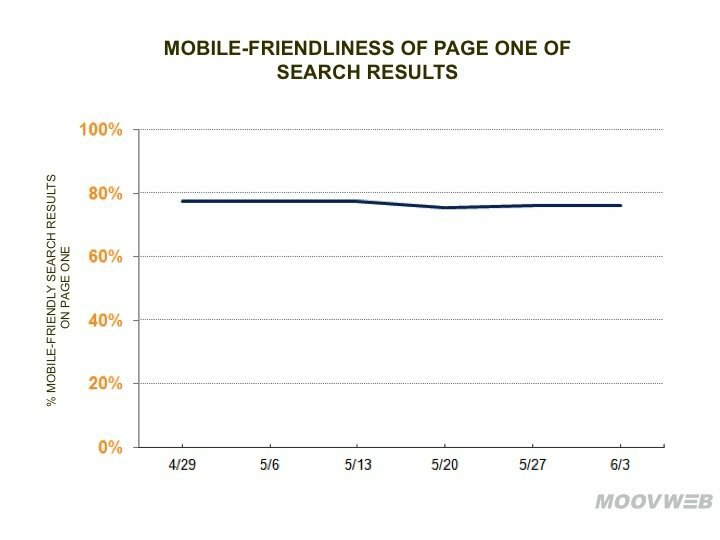 This culminated in April when Google launched its Mobile Friendliness Algorithm Update. The update used mobile friendliness as a ranking factor and many website owners scrambled to get their sites ready before they faced what the SEO community exaggeratedly called “mobilegeddon”. Now that time has past, a lot of reports have shown the fallout of the changes. A new report finds there are now fewer sites that in the top results on Google that are not mobile friendly, but not by much. Moovweb has been tracking the movement of pages in the search results for over 1,000 keywords related to e-commerce topics. The study found that there had been some movement after the algorithm change, as one would clearly suspect, but the changes to the top pages weren’t as severe as many had been led to believe. The thing is, these results aren’t very different from what was seen before the update. According to the researchers, for the top ten positions aggregated, the average percentage of mobile-friendly search results is 77 percent, which was relatively stable for the time period being studied. For the six weeks Moovweb tracked the data, the number of mobile-friendly results on the first page has hovered around the average of 7.7 out of 10 results. 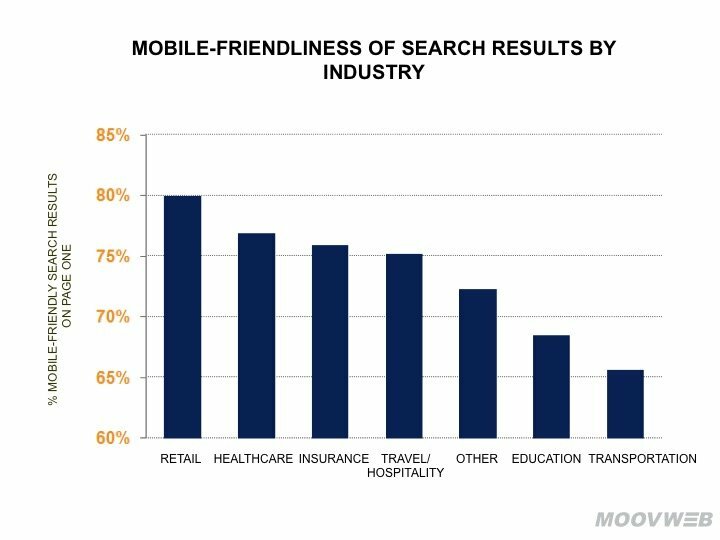 The study also found that mobile friendliness mattered more in some industries than other. To illustrate, Retail had 17 percent more mobile-friendly webpages than the first 10 results for keywords related to Education. Retail showed the greatest percentage of mobile friendly pages at around 85 percent. Ironically, transportation had the lowest concentration of mobile friendly pages in the top results. Though some would argue that the initial response among SEO marketers about Google’s mobile algorithm change was overblown, there’s a chance this overblown response is what made the effects so muted. The mobile algorithm was announced months in advance and Google kept reminding webmasters of what needed to be done in order for a page to be labeled as mobile friendly. Moving forward, mobile friendliness is still important for business owners. Though Mobilegeddon didn’t destroy ecommerce and SEO as we know it, it doesn’t change the fact the more consumers are using mobile devices to access the internet. Sites that doesn’t provide a good mobile experience will continue lose traffic as more people find more mobile friendly sources of information. For more research about the fallout of Mobilegeddon, read this article with data from a recent study from Adobe about web traffic.